Visit Cheeks At The Squirrel Hill Spring Sidewalk Sale! 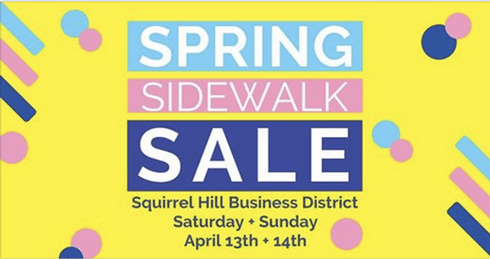 Uncover GREAT DEALS at Cheeks at the Squirrel Hill Spring Sidewalk Sale on Saturday, April 13th and Sunday, April 14th. Two day only exclusive deal: 50% off clearance merchandise. Treat yourself or that special lady in your life! Make your shopping list and plan to spend part of your weekend shopping and dining in Squirrel Hill.